There is an existing barn on our property that is no longer being used (except for storage of course). 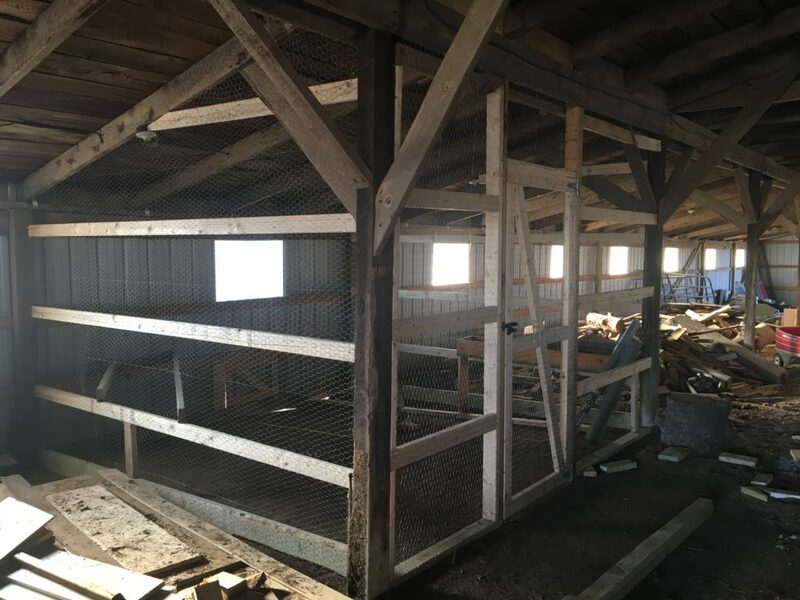 It is near the house which makes it an ideal location to house the chickens. They will be close by for feeding and watering as well as hopefully safe from predators. A lot of junk has accumulated in this particular barn over the years and it took us awhile just to clean out a section of it. But once we did, it was perfect. We are able to use the existing poles for support and the roof as well. If you can re-purpose buildings on your property, not only does it give an old building new life, but also saves you some time and money. Always a good thing! Always a good recommendation – work when it’s warm outside and not during freezing weather. I wish that was always possible! Just as everybody does in life, we prioritize our time and sometimes end up tackling jobs in less than ideal weather conditions. 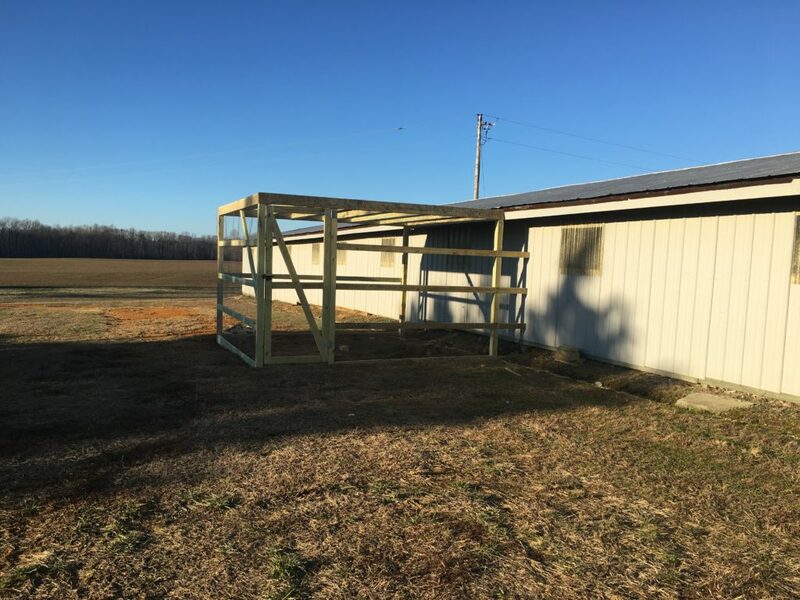 Since we will start pruning the grapevines in a few weeks, we decided to make some progress on the chicken coop. We cut a hole in the side of the barn to create a door so the chickens can access the outdoor run from the coop. The plan will be to open the door each morning to let them go out and do what chickens do – scratch and forage. Then we’ll close them inside each night to keep them safe. It’s nice knowing that we have made some progress toward completing the chickens’ future home. And it will feel great when we’re finished. Until then, I’ll keep day dreaming about how to build nesting boxes and waiting for the next big chunk of time we get to work on it. I bet it will be cold! ← The Chicks are Ordered!